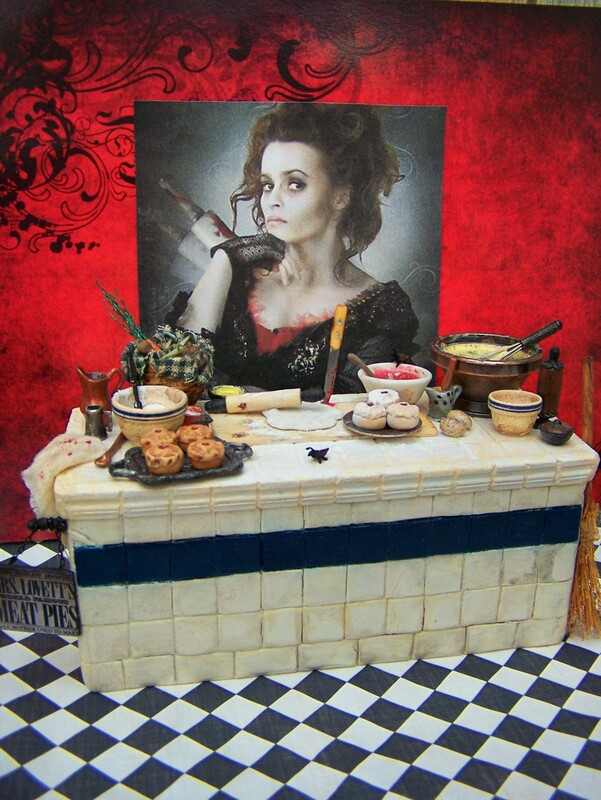 Mrs. Lovett’s meat pie counter. I had a sort of underprivileged childhood, minis didn’t happen until I was in my thirties. How did you first get started making miniatures? I picked up a partially built dollhouse at a tag sale and began looking into how to finish and furnish it. My interest grew from there. 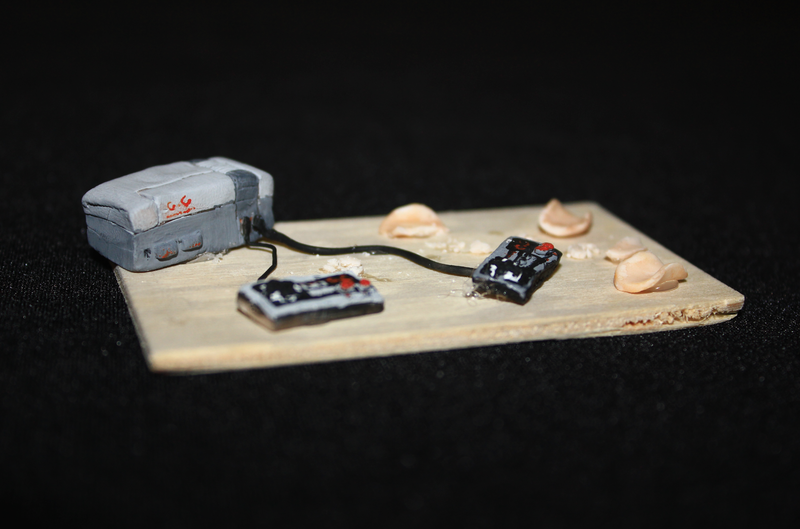 Do you remember the very first miniature you ever made? My earliest “mini” memory goes back to my childhood when my grandmother gave me a miniature 1:6 scale ceramic tea set. I enjoyed playing with it and I still keep it. Well, the first miniatures I ever made were the ones I made for my Barbie dolls when I was a child, such as accessories and clothes. The interest for the ones in 1:12 scale came few years ago, when I discovered the wonderful world of miniatures for real. Ever since that moment, I haven’t been able to stop making them. 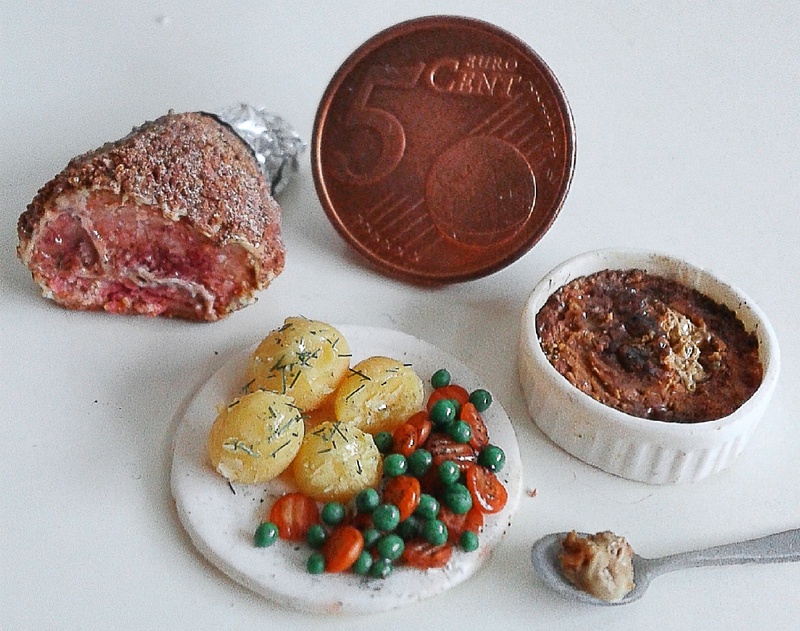 In April 2015, I stumbled upon a YouTube video of someone making edible miniature food and after a few more clicks through other videos, I ended up watching a polymer clay miniature food tutorial. It was like discovering a whole new world, really. 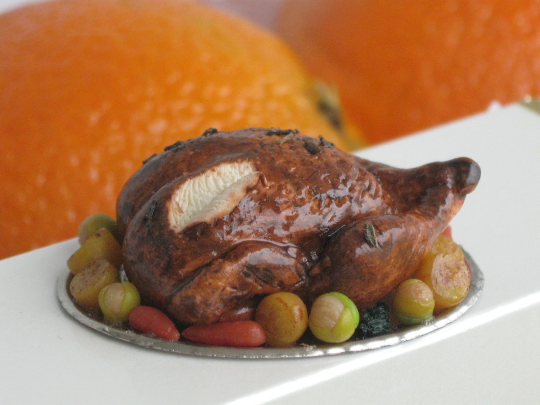 I had some polymer clay left over from a sculpting project I did prior and I made a loaf of bread that same night. And I’ve fallen in love with it since then. My earliest memory with miniatures was going to the children’s museum in Chicago and always wanting to go to the “miniatures” room that they had there. I was always inspired by them, and I started seeing artists recreating tiny miniature babies in clay, and I started sculpting them. 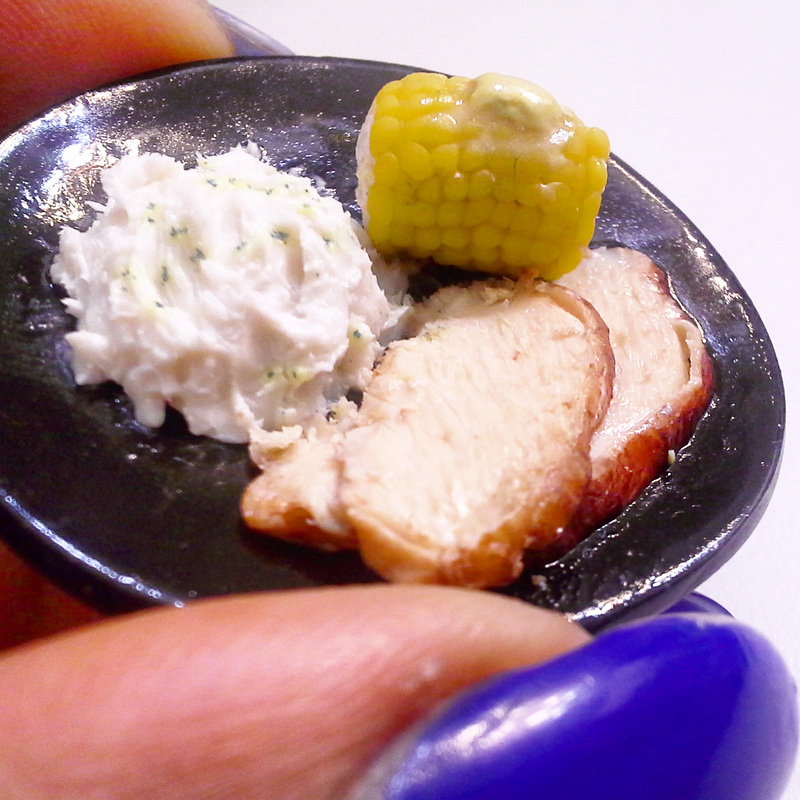 I always thought that anything that was miniature was cuter, so I began sculpting anything I could see in miniature scale: vases, school supplies, plates, etc. What was the first miniature you made? I was probably four years old, and spending the summer with my maternal grandparents. There wasn’t any other children around, so my granny gave me my mother’s childhood toy furniture: a 1:6 scale bed, 1:10 scale cupboard, armchairs, and an enamel bathtub. I spent the major part of the summer playing with those and making up stories. I still have the cupboard and that old, rusty, enamel bathtub. I started making miniatures when I was really young. I have always been interested in small things. I don’t quite recall the time when I started making miniatures myself, but I remember learning about polymer clay approximately two years ago, in 2013. If I remember correctly, my first small scale project was a toy box for a dollhouse, made from a cardboard toilet paper roll. What’s your favorite type of miniature to make? 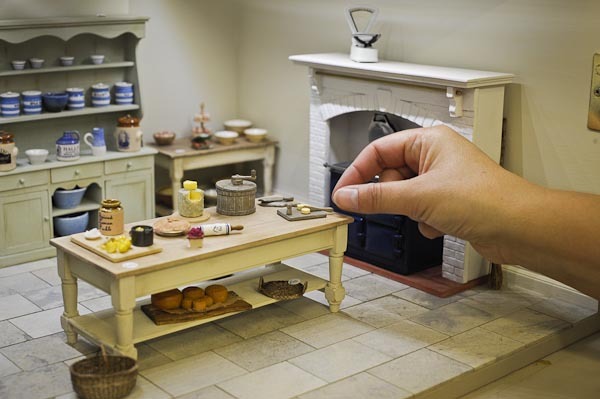 For as long as I can remember, I’ve been fascinated with miniatures. 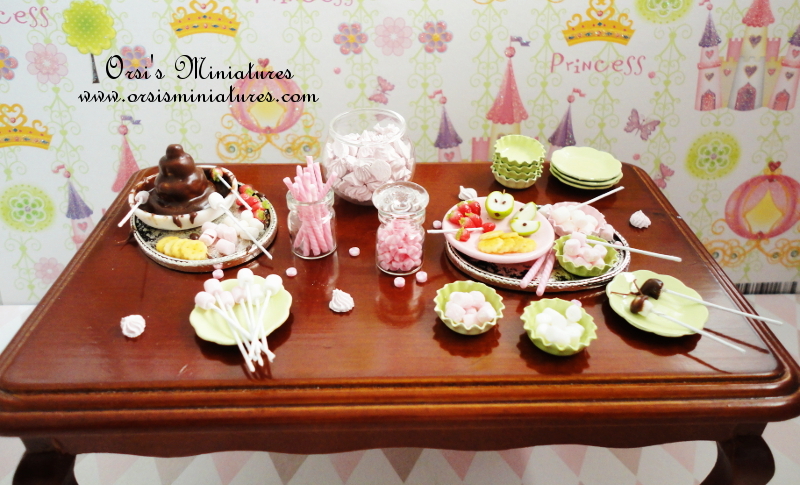 As a little girl, I used to play with my Barbie dolls and create mini bakeries, pizza parlors, and kitchens. 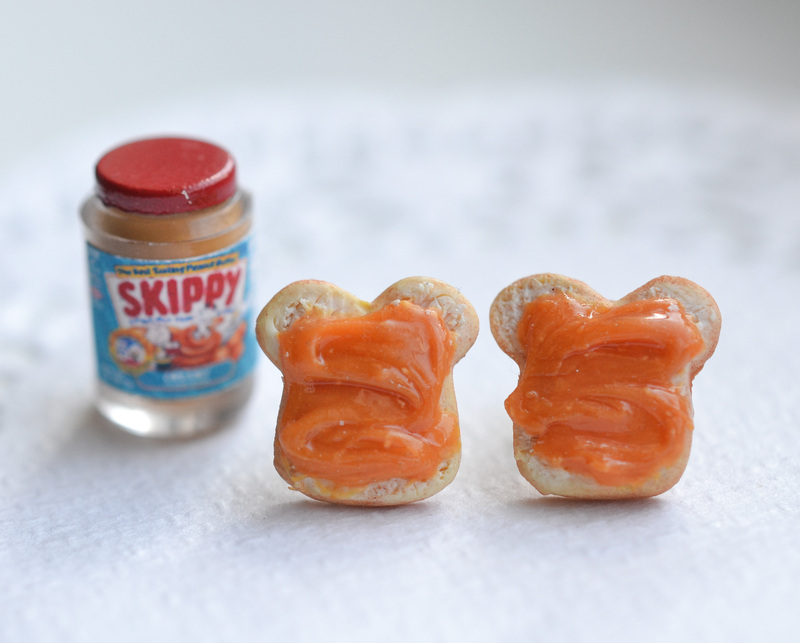 I would always make sure to get the kits that had the miniature play food that looked the most realistic. I remember one playset in particular that had a pizza oven that would “bake” the pizza until it browned using ice cubes to “heat” the oven. I thought that was so amazing as a young kid and I’ve been enamored with miniatures every since. Dorothy Twining Globus has been well-respected in the museum world for over four decades. Most recently as the Curator of Exhibtions at the Museum of Arts and Design for nine years, she previously served as Director of the Museum at the Fashion Institute of Technology. Formerly, she spent twenty years as Curator of Exhibitions at the Cooper-Hewitt Museum. 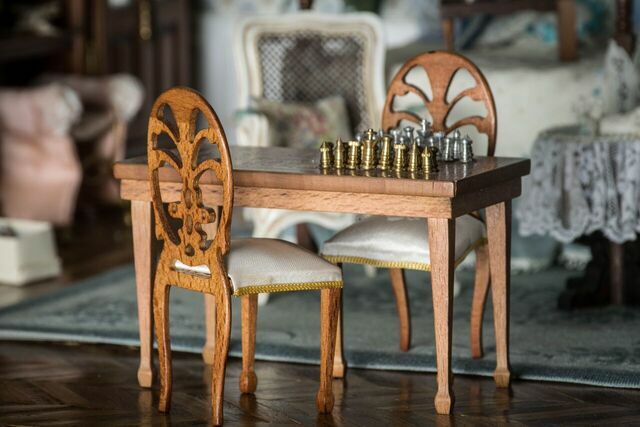 Dorothy’s particular interests in design, the decorative arts and craftsmanship are all met in the presentation of the Astolat Dollhouse Castle, a most remarkable milestone in the world of fine scale miniatures. Furthermore, Dorothy made dollhouses for herself and her daughter under the watchful eye of her mother, another aficionado in the miniature field. 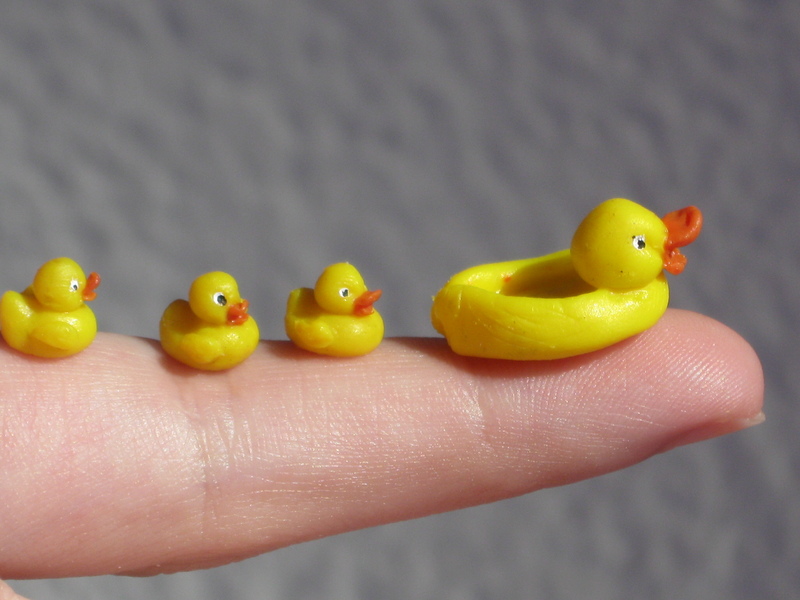 What are your earliest memories with miniatures? 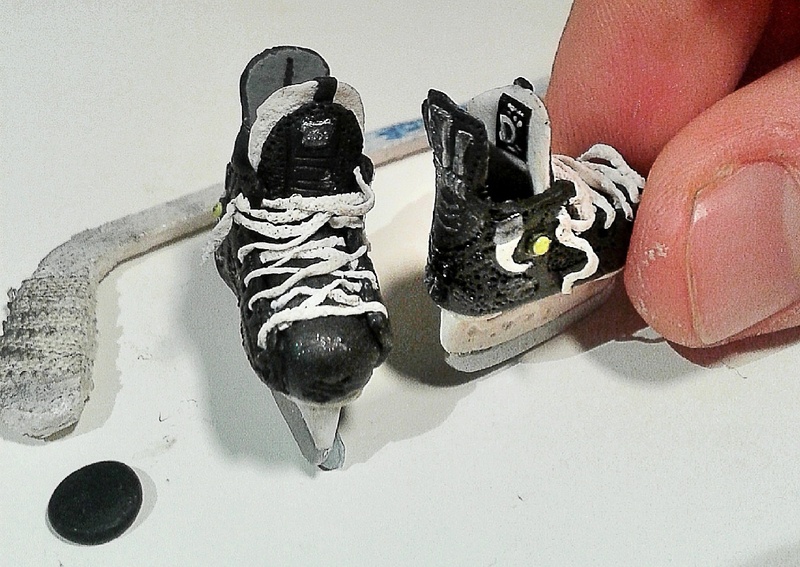 How did you first get started working with miniatures? I only discovered them around 10 years ago when I bought a souvenir and gifts shop in the Georgian city of Bath in England. There was a tiny cabinet of children’s miniatures which I assumed was just another gift line. A chance meeting with an author of miniature books, who was visiting my shop one day, introduced me to a friend who had been interested in miniatures for over 30 years and has the most exquisite collection I have ever seen. From that moment on, I was hooked. I am a self confessed miniature addict! 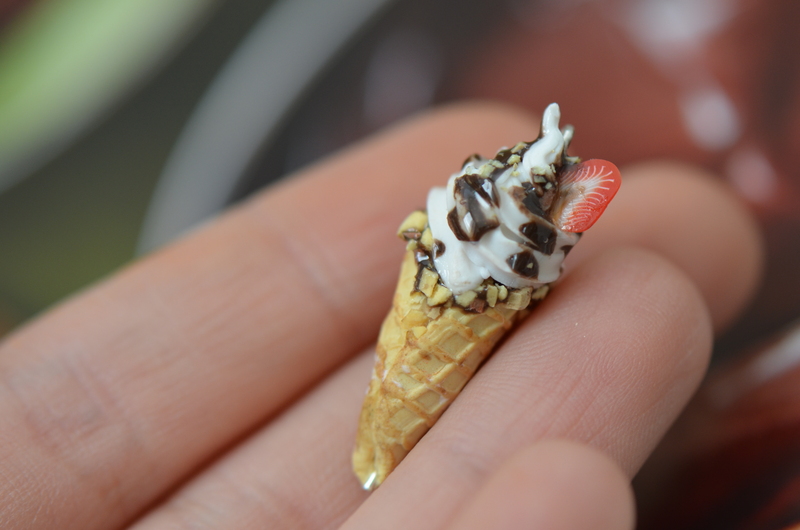 The first miniature I ever made was a slice of watermelon when I was 5 years old. My auntie used to make ceramic flowers out of an air drying dough she used to make herself. She used to give me pieces of the dough to create miniatures while she made flowers. I loved her work and creativity, and she inspired me to work with clay and be creative. How did you first get started making miniatures? How has your work evolved?